Sauté onions over medium heat about 10 minutes. Stir in water and broth mix, and bring to boil. Smoothly combine flour and milk, and add to saucepan. Cook and stir over medium heat until mixture comes to a boil and thickens. Add 3⁄4 cup (175 mL) cheese, stir until melted. 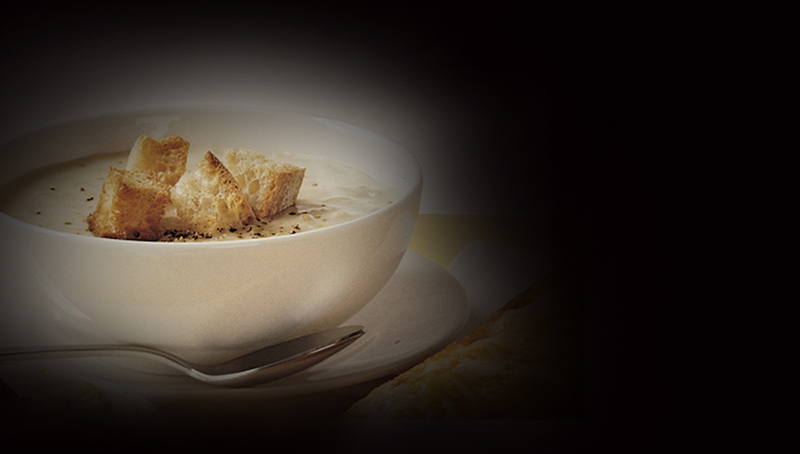 Ladle into 4 oven-proof soup bowls, sprinkle with buttered croutons, and top with remaining cheese. Broil until cheese is melted. Don’t let cheese burn or brown.